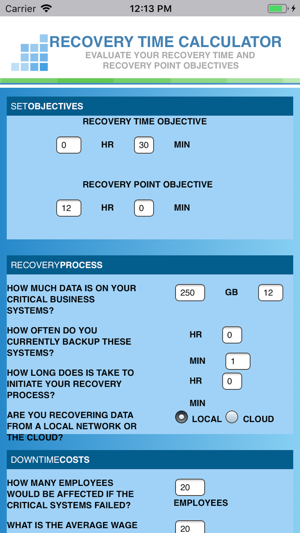 A great tool for evaluating your business recovery time in the event of a disaster. Version 2.0 bugs are fixed and performance improvements. This version is available for iPhone X. Ever wonder what downtime will cost? 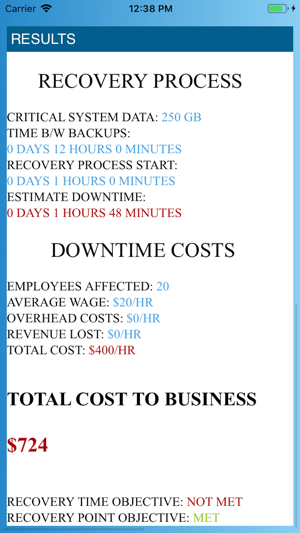 Great app to help figure out the recovery time and cost to a company when a system recovery is required due to a failure.